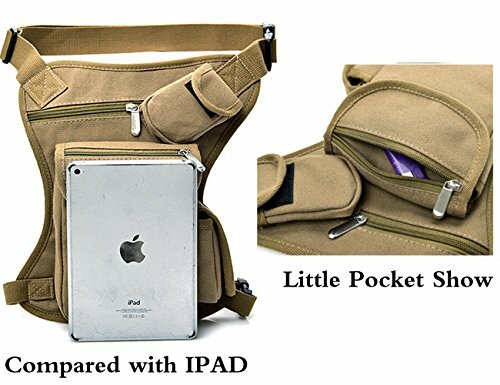 【Material】Using natural 1000 D canvas, durable and lightweight. 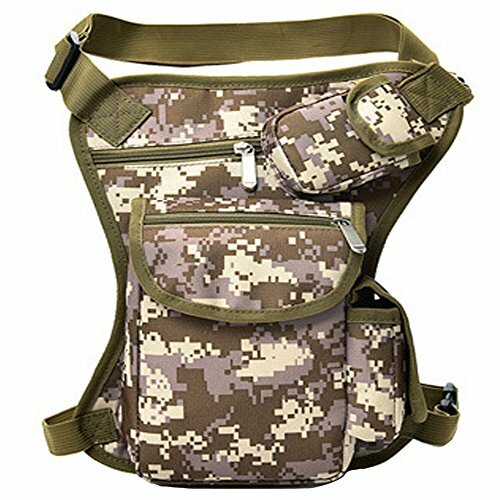 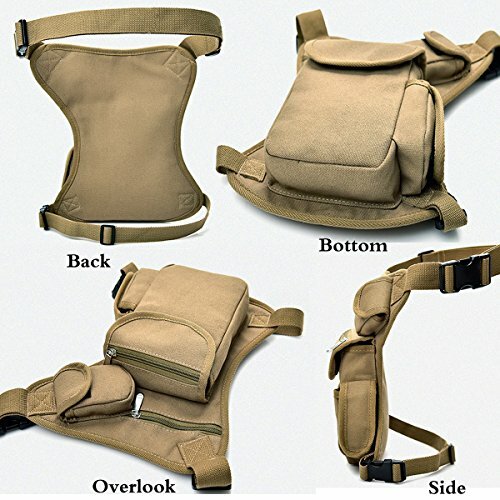 【Comfortable】Leg and Waist straps can be removable, adjustable quick-release buckle as a lightweight tactical leg .Let your movements more comfortable. 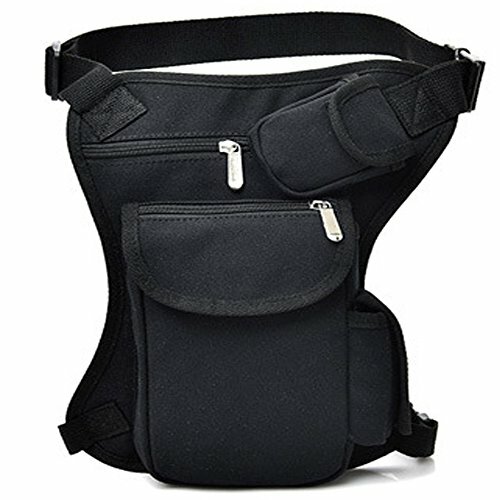 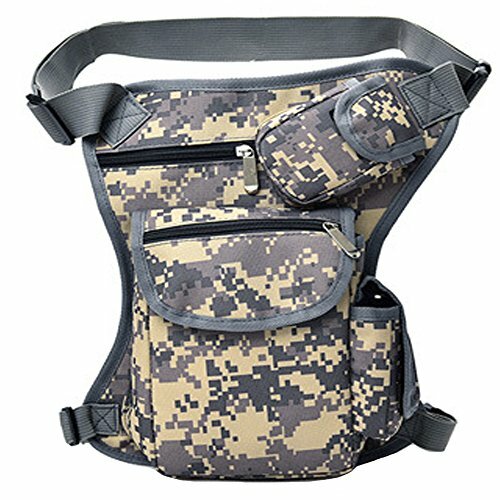 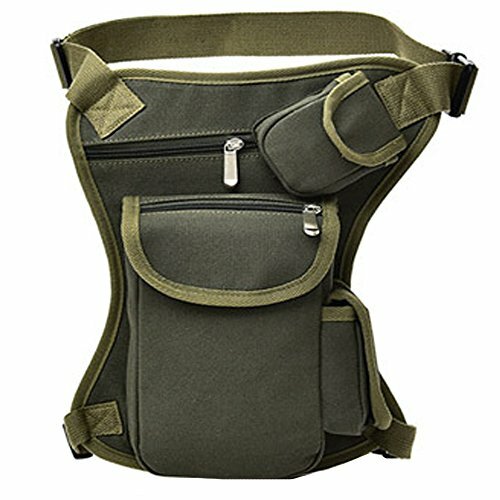 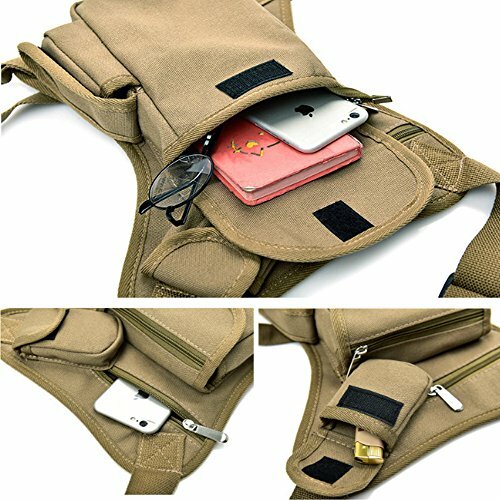 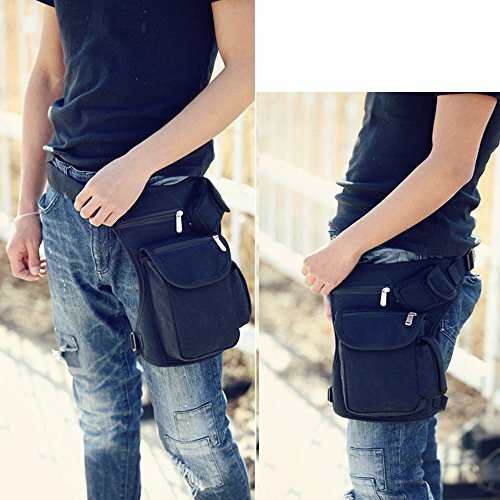 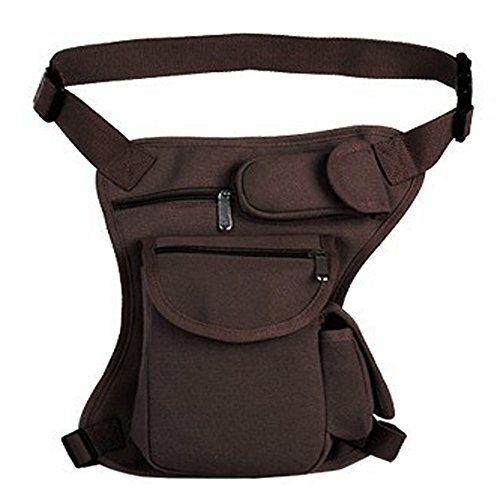 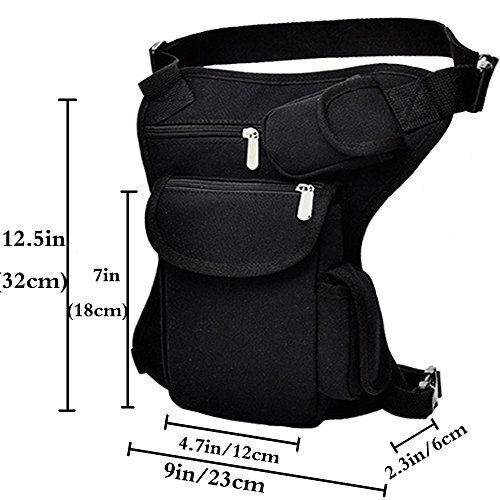 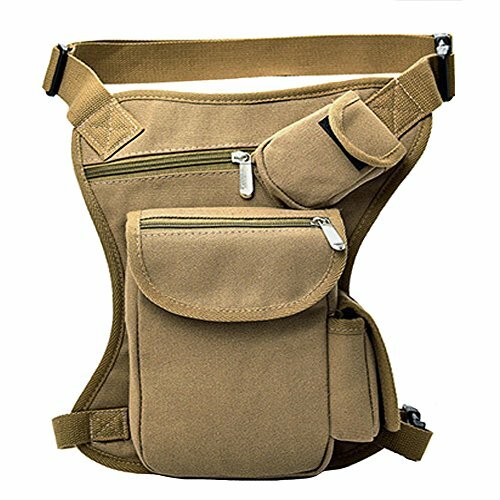 【Capacity】One zipped main pockets, one inclined pocket ,one side pockets, one front velcro pocket can be put like cell phone, cash, credit card and so on.Side pocket can put keys/cards etc.Compartments are designed for holding most of belonging like wallet /phone /camera /keys /tools/keys /flashlight etc. 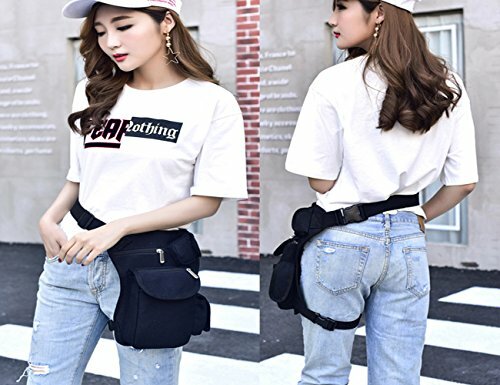 【Occasion】Fit for motorcycle,riding,biking,cycling,hourse,travel,beach,sports,camping,hunting and other outdorr activitties.Suitable for men and women, adults and kids.